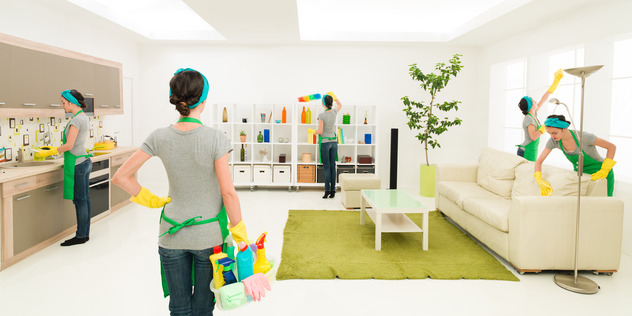 Dirt accumulates everywhere, and you do not know where to start cleaning the house. When it is time to leave homework for tomorrow and get down to work, we are often overwhelmed with despair at not knowing where to begin to pass the mop. If you are one of those, who have doubts about how to clean house fast and easy. In this article, we will give you the main keys to reach all the rooms following a logical order. 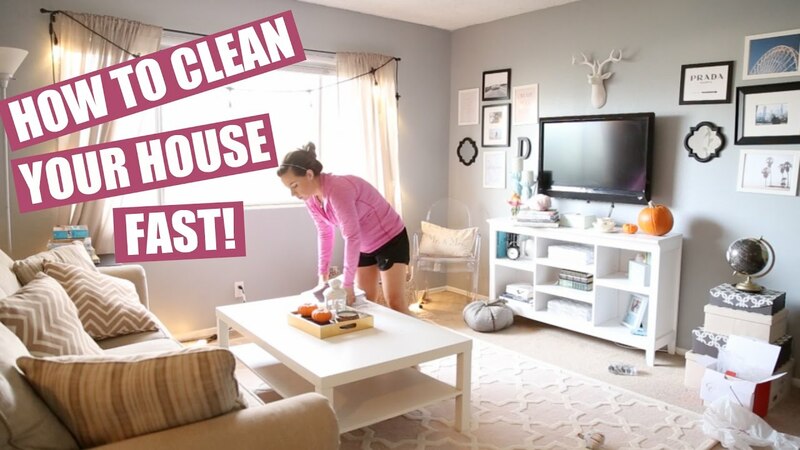 How to clean house fast and easy? Let’s recognize it. The tasks of the home give us much laziness and every time we think of them we come up with a lot of “pending things” and interesting plans to do (lie on the bed and not think is one of them). But it is irremediable and obligatory to take the mop, the broom, and a cloth and give a review of the house. It is at that moment when you ask yourself: what clean place first of the house? To know where to start cleaning the house, the first thing you have to do is establish a plan, pointing out those rooms that urgently need to be prioritized over others that are less dirty. Without forgetting those corners that you will never clean. It is also advisable to set a time to carry out each of these tasks so that we know in advance the minutes that it will take us to do it. Although it seems silly a priori, being efficient and productive will be of great help. Once this is done, it takes 10 minutes to prepare all the cleaning utensils that you will need: broom, dustpan, mop, bucket, cleaning products, etc. This simple trick will save you minutes looking for what you need. Third, he spends 35 minutes sweeping and picking up the house. If you manage to put all the things in their place, you will avoid the disorder and the chaos that produces that are out of place. In this case, the best thing is that each object you give a place, so you will always know where you have to return it after having used it. 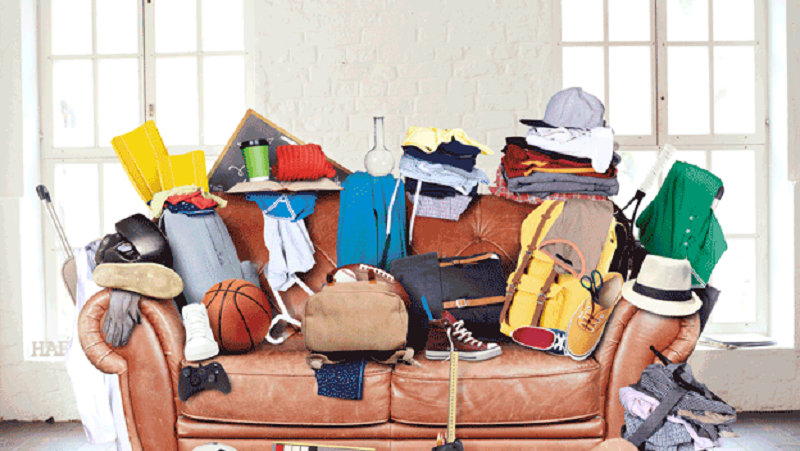 Clean the room with a vacuum cleaner, you will reach the deepest areas of the sofa and the corners of the walls. 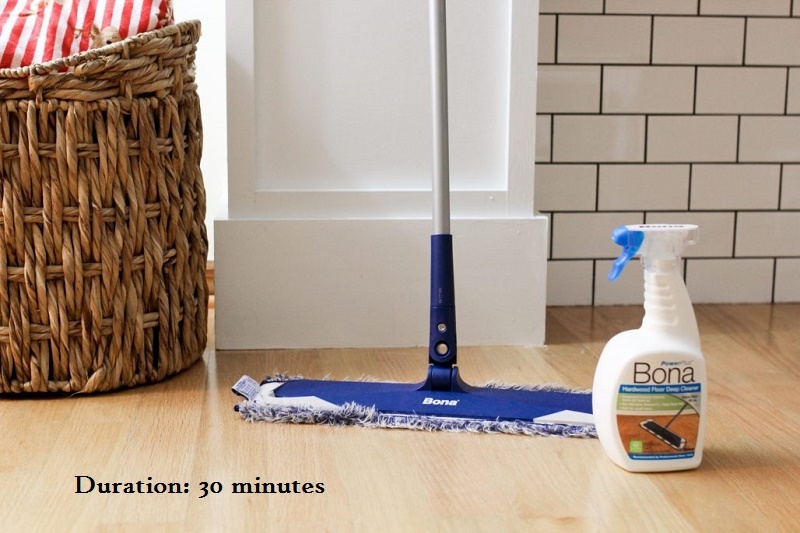 Wipe the surfaces of the furniture and finish scrubbing the floor with water and specific products. The kitchen can do it in 40 minutes. Removing the fat will be the most time-consuming and heavy. So it’s best to do it first and get rid of this task as soon as possible. You can help with degreasing products, with alcohol, and with multipurpose detergent. Do not forget to review the dirtiest places in your kitchen. Organize the room in 30 minutes: Store your clothes in cupboards and drawers, change the sheets and pillowcases, dab the window panes with a cloth with alcohol and vacuum the carpets. Dedicating 20 minutes, you will get to clean the bathroom, paying attention to the sink, toilet, and shower that are the places where more dirt accumulates. Luckily, there are some tricks to make cleaning the bathroom easier. To finish in the order of cleaning the house placed candles, air fresheners and I insist on different places. You can also add flowers to give a good smell to your home.